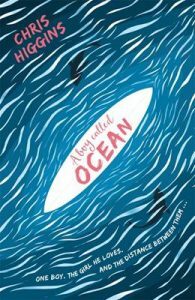 It was Joe Holtaway’s story that inspired Chris Higgins‘ latest novel for teenagers – A Boy Called Ocean. 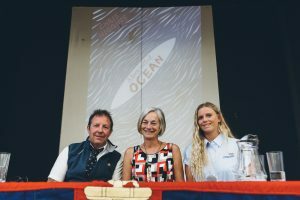 While he was surfing, Joe had been swept out to sea off the Cornwall coast, and against all possible odds, was found by the Penlee Lifeboat crew, and survived. 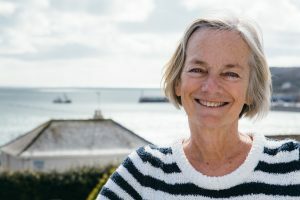 Chris chose not to write Joe’s story, but she talked to him, to his mother, to the crew of the Penlee Lifeboat the night of the rescue – and what evolved was a novel about another boy, Kai, who heads out to sea on a surfboard one evening. 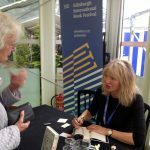 Since A Boy Called Ocean was published earlier this summer, Chris has had some great reviews – most recently in the online review magazine Books for Keeps – you can read it here – but it was Joe’s feedback that she’s been waiting for, and when it came, it couldn’t have been better. A Boy Called Ocean: what a wonderful read; the colourful characters with their sensitivity, humour and stories; the descrition of beautiful Cornwall, present in me of course though also, I can imagine, to those who read it that have not (yet!) been there. 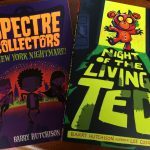 I feel A Boy Called Ocean may have readers wishing to visit! The rhythm and poetry of the chapters also touched and moved me. So much happened in that short space of time, though then isn’t that just what life is like? So layered and interwoven. Personally, I felt the conversations we had in there, and how they informed the story as I wished they would: in subtle ways. I found myself saying, ‘I said that’ to myself, or to friends (I read some chapters with them). And sometimes I wasn’t sure if I had said the words or not though felt you had expressed what I had experienced in words I would have chosen. It was an experience that of course will be with me forever; a dramatic and extraordinary experience in many ways, though moreover, for me, a connecting one; to those around me, to myself, to nature and to life – and I feel that A Boy Called Ocean does just that with its characters. Importantly the book also puts the RNLI in the light they deserve (though would humbly never wish for) and that feels good to me, they are saints in my eyes. If you haven’t yet read A Boy Called Ocean by Chris Higgins, please do – it’s an important novel, inspired by an extraordinary story, told by a wonderful storyteller.